You are here: Home / News & Views / Blog / Is This Space Taken? 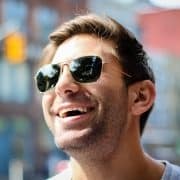 Orthodontist Dr. Samuel Papandreas knows that everyone wants a full, toothy smile, but some people are missing teeth through no fault of their own. Whenever you see a person missing teeth, you probably assume that they have lost them somewhere along the line, either through an accident or neglect. However, that is not always true. 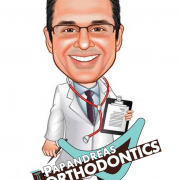 At Papandreas Orthodontics we sometimes see patients that are missing teeth because they failed to develop due to a family hereditary condition. Other times, the “missing” tooth isn’t really missing at all; it’s hidden underneath bone and gum tissue because it’s blocked or impacted by other teeth. In either situation, space must be created or closed, depending upon circumstances, to improve the bite and aesthetics. If not, then other teeth will gradually drift into the spaces, creating a bite problem and misalign teeth. Luckily, both problems can be treated with orthodontics. Orthodontics is a special field of dentistry that focuses on diagnosing, preventing, and treating irregularities of the teeth, gums, jaw, and face. 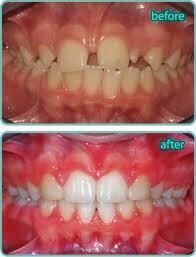 For a person with teeth “missing” or “blocked out”, orthodontics can do wonders. Teeth can be moved into their proper position with braces, and in the case of missing teeth, replacements added to fill the space with an implant or bridge to improve aesthetics. However, in some severe circumstances it may not be possible to bring a severely impacted tooth into position. Oral surgery may be indicated to remove the impacted tooth to prevent damage to adjacent teeth and also require an implant or bridge to correct the problem. Next time you see a person with a gap in their smile; don’t be so quick to jump to conclusions. Now that you know what may be to blame, you can kindly direct them to contact our office for a complimentary consultation to find out how we can help them fill that space! https://drpapandreas.com/wp-content/uploads/2016/04/logo-dr-papandreas.png 0 0 Dr. Sam https://drpapandreas.com/wp-content/uploads/2016/04/logo-dr-papandreas.png Dr. Sam2013-02-01 08:12:552019-04-19 04:26:17Is This Space Taken? How Affective Is a WaterPix When Wearing Braces in North Royalton, Strongsville and Hinkley OH? 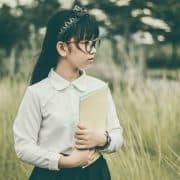 Why Do Many Kids and Adults in N. Royalton and Hinckley Ohio Need Orthodontic... Braces and Nail Biting – Does Orthodontics Break the Habit?